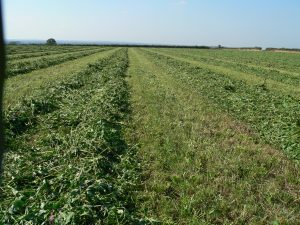 Forage experts Germinal will highlight the multiple benefits of high protein forage crops at Grassland & Muck 2017 with demonstration plots and advice covering a range of modern cropping options. The extensive Germinal exhibit will include currently available varieties and mixtures through to the latest breeding advances. There will be a strong emphasis on how to make livestock production more profitable and sustainable by growing and feeding high protein species such as white and red clovers, brassicas, perennial chicory and lucerne. 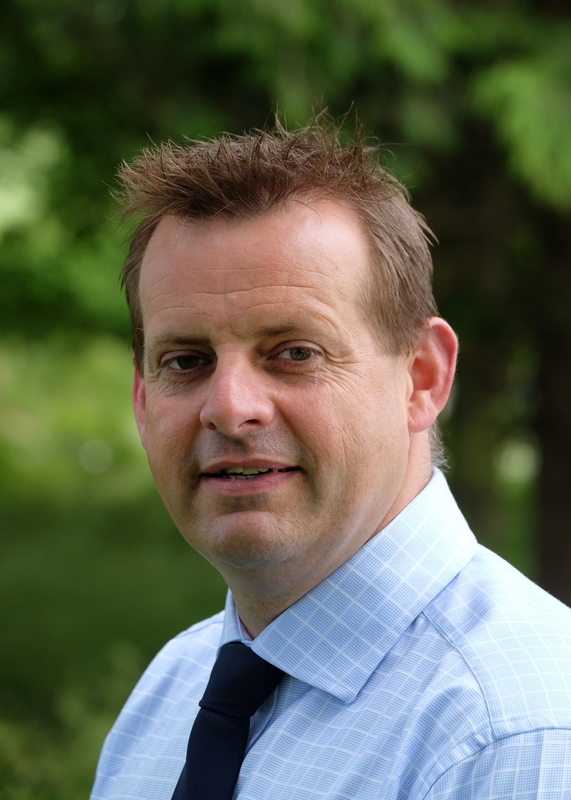 “Opportunities to increase homegrown protein production exist on a large majority of livestock farms,” says Germinal national agricultural sales manager Ben Wixey. “There are many crops that can exceed 20% crude protein, so the headline advantage is to cut feeding costs by reducing reliance on expensive bought-in sources such as soya, but there are far wider benefits too. 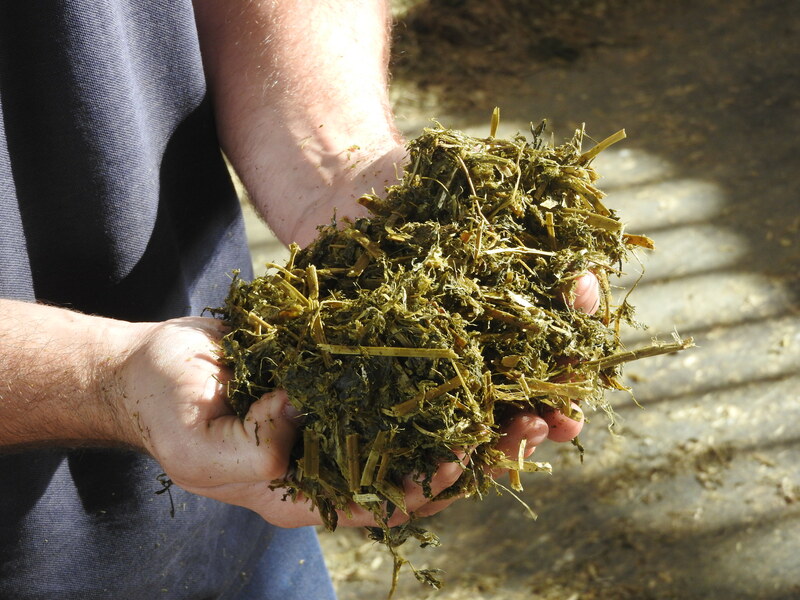 In addition to the protein crop focus, Germinal will launch the latest Aber High Sugar Grass varieties to be included on the independent Recommended Grass and Clover List at Grassland and Muck 2017. There will also be opportunities to meet the plant breeders from IBERS Aberystwyth University and receive advice from Germinal’s forage experts on selection, growing and utilisation of a full range of forage crops. Lucerne silage in hands: Lucerne is a high protein crop that also provides a good source of fibre. 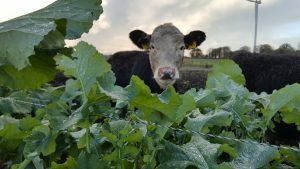 Cow and brassica: Brassica fodder crops provide a good source of protein and are also excellent break crops in grassland reseeding programmes. Red clover in swath: New varieties of red clover will now remain productive in mixed swards for four to five years. Follow @wearegerminal for regular and topical information from trial plots, farm and field, on all things relating to forage.